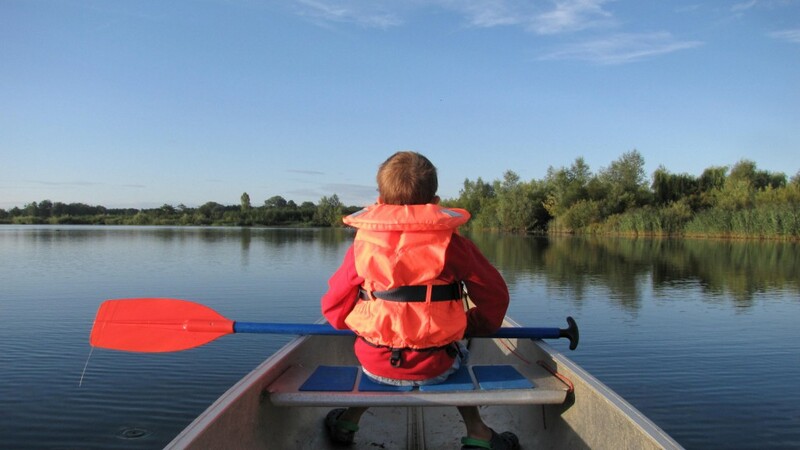 Using a Canoe in Cotswold Water Park is a great way to explore and we have a Canadian Canoe available for guests to use on the Lower Mill Estate. Paddling in a Canadian Canoe is a wonderful way to relax and enjoy time with the family. At Daisy Chain as well as a Canadian Canoe available for you to use we have paddles and a variety of sizes of buoyancy aids for children and adults. Grab the canoe and while away an hour or two paddling around the lake. If you’re quiet you may spot a kingfisher flying past or even have an otter swim alongside you. Somerford Lagoon, the lake directly in front of Daisy Chain takes about 15 minutes to canoe across, or an hour to potter gently around while younger members of the family take their first few paddles. The water is clear and you can look down and watch the reeds and fish passing by.